UMFC has concluded its extensive evaluation of the National Disability Insurance Scheme (NDIS) to see if the agency could participate in a viable and sustainable way. The result is very clear, we cannot. The constraints of providing services under the NDIS framework (i.e. the NDIS Price Guide) do not lend themselves to smaller organisations being able to provide a range of services in a viable and sustainable manner. With less than $1M revenue from services to people with disability, UMFC is considered a smaller provider. The agency’s existing Aged and Disability Support Services will be restructured over the next 3 months, to adjust to the reduced funding. It will be a difficult time for us during this process. However, we remain committed to continuing to provide quality services to our community and this will be the basis of our restructure. We have been informing our current clients and key stakeholders of the decision, and will continue to share information when it becomes available. 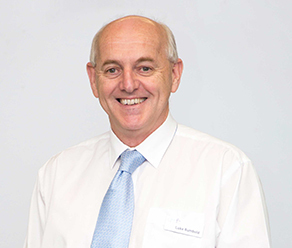 Luke is currently the CEO of UMFC and has been with UMFC since 17 September 1984.